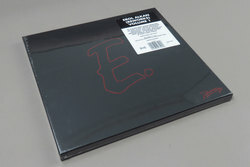 Erol Alkan - Reworks Volume 1. Vinyl LP, CD. Bleep. Though his star has waned a little since his all-conquering phase, Erol Alkan is still one of only a few names that command respect across the world. That reputation has been built in large part on his cross-genre remix work, including classic edits for the likes of Franz Ferdinand and Justice. 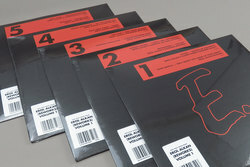 His own Phantasy Imprint now brings together the creme de la creme of his best re-workings for a bespoke five-LP set. It’s impossible to revisit the likes of his beautiful long dub of Hot Chip’s ‘Boy From School’ and not feel a warm rush of nostalgia for the golden age of the indietronica in the late 2000s.